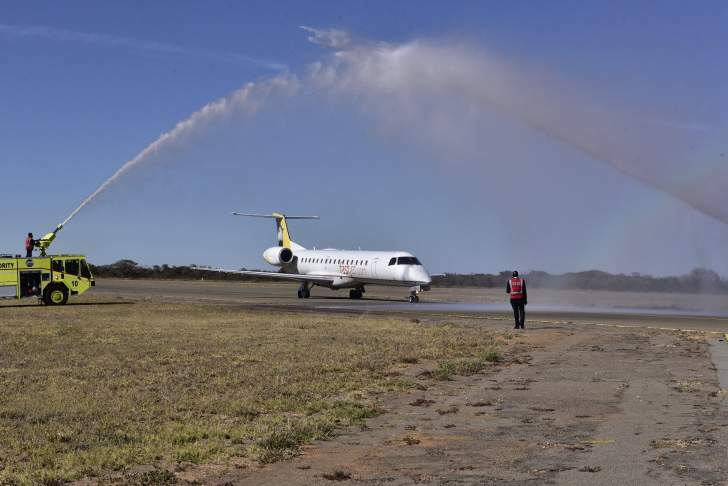 Africa's airline for everyone, fastjet, received a traditional airline welcome with a fire truck salute yesterday morning when our first flight landed in the City of Kings. Fastjet now offers daily flights between Harare and Bulawayo. Fastjet is also the first value airline to operate the Harare Bulawayo route; it also fly between Harare and Johannesburg 4 times daily, between Harare and Victoria Falls twice daily and up to 3 times a week between Victoria Falls and Johannesburg and between Harare and Dar es Salaam. fastjet lands in Bulawayo for the first time from Hein Kaiser on Vimeo.